The UNESCO Institute for Educational Planning (IIEP-UNESCO) is pleased to announce that Dubai Cares has awarded funds from its Evidence for Education in Emergencies (E-Cubed) research envelope to support IIEP’s ongoing research with the Education Development Trust on teachers of refugees. Launched in 2016, the E-Cubed research envelope focuses on generating more evidence on effective preparedness and response strategies in education in emergencies. It is carried out in partnership with the Inter-agency Network for Education in Emergencies (INEE). With a multi-country focus in East Africa, the project aims to document promising policies and implementation strategies that exist for the management of teachers in refugee contexts, as well as to put forward recommendations for further policy development and successful implementation. Entitled Who teaches refugees? Promising policies for the effective management of teachers in refugee contexts, it focuses primarily on teachers because the quality of teachers and teaching are the most important factors affecting student outcomes that are also open to policy influence. 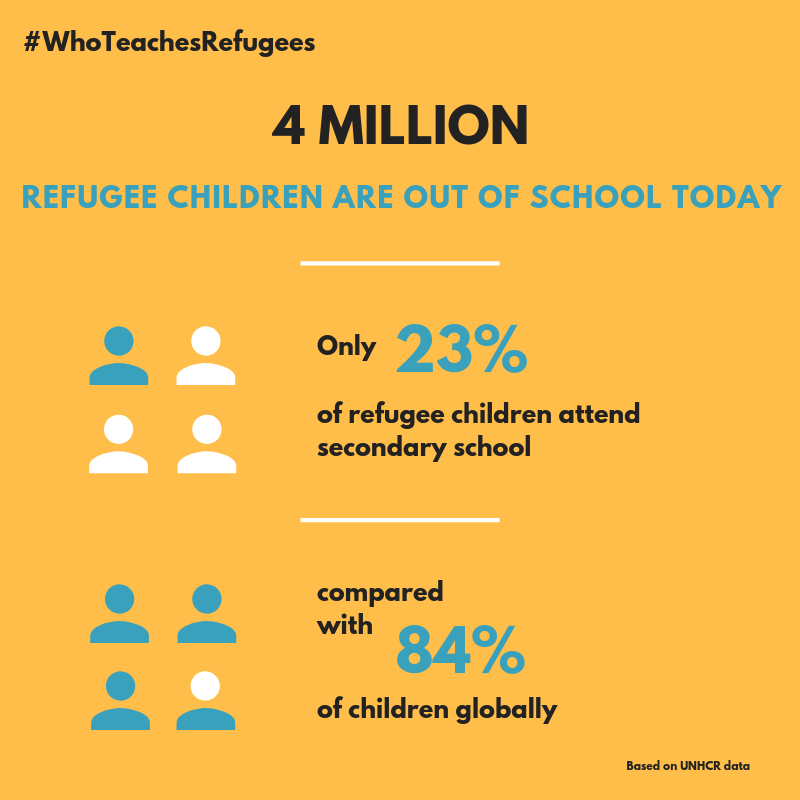 In 2018, the project produced its first output, Teachers of refugees: a review of the literature, which indicated that there is a lack of information about how teachers in refugee settings are managed. With support from UNICEF, the pilot is currently underway in Ethiopia. The Dubai Cares funding will now cover new research in Kenya and Uganda, and will include case studies illustrating good practices, policy briefs, and a documentary film. IIEP and EDT are also gearing up to implement the research in Jordan, with support from Open Society Foundations. Education for refugee children and youth has never been more urgent. According to the latest report from the United Nations Refugee Agency (UNHCR), there are four million refugee children out of school. Only 61 per cent of refugee children attend primary school, compared to a global average of 92 per cent. At the secondary level, the figure drops to just 23 per cent, compared to 84 per cent worldwide.